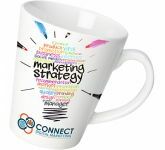 Promotional latte mugs are in every office lunchroom. 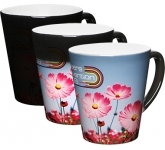 These brightly colored ceramic advertising mugs have been given out by corporations, businesses, and organisations for decades during high-quality campaigns. 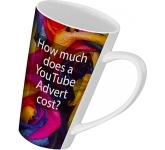 The reason that there have been so many mug campaigns over the years is because it is shown that this form of inexpensive promoting works to increase traffic, moral, and profits. 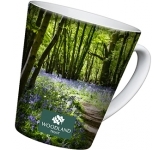 Mug campaigns normally start when a hosting business goes online to a larger promotional item store and starts to leaf through the thousands of shapes, styles, and colours of printed latte mugs choices to place their company logo or store name on. 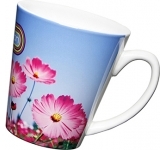 Two or three styles of mugs or soup mugs will be chosen to consider further with office groups or advisers. Next, ceramic mugs will be ordered printed with the message in larger quantities for distribution to employees, clients, or customers. After the latte mugs arrive in the mail, a number will be distributed to various department heads to pass out to their hardworking staff. As they are distributed in-house and to all appropriate non-employees, the details that are placed onto this batch of new mugs will start to be seen all over town, and on every desk around the hosting workplace. 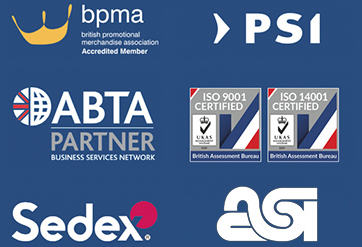 Creating brand recognition which helps to increase sales and profits. Used for a wide variety of uses around the office. They will become company sanctioned pencil jars, candy containers, or donation pots on top of desks for everybody walking into the office to see. It is not unusual to see a row of them along a windowsill holding plants, or a whole shelf sitting in plain sight in the lunch room. Making people aware of your latest ad campaign.